Milo was thoughtfully sent some of the most charming "cuddles" aka security blankets I have ever seen, from O Hello Blankets Shoppe. So soft, rustic, and chic, these may be mine and his most favorite thing to ever reach our post box. The O Hello Blankets Shoppe is a Michigan, USA based online Etsy stop. Liz Brown the shops owner, creator, and designer is also a mother of two handsome young boys. Price: These handcrafted blankets are a bit on the pricey side. Some ranging well into the hundred dollar mark. However, the quality is there and by shopping on O Hello Blankets Shoppe you know you are getting prints and designs you can't find in a retail store. Cheaper blankets are mass manufactured by only God knows who. By shopping small/local businesses you are supporting a family vs. a corporation. Quality: Milo has really put these blankets through the ringer. He is not such a sweet gentle baby anymore. Everyday he becomes more of a destructive little boy monster. From the very first wash these blankets have held up so surprisingly well. I'm truly shocked in the best of ways. Other blankets have shed, the soft fuzzy has now became matted balls of fluff, but these are still standing up perfect. The soft fuzzy backing is still so touchably soft. Milo loves to rub it on his face. The chic designs are still as bright as can be. Convenience: Milo has the 18 X 18 security blankets. We call them cuddles and he absolutely loves them. 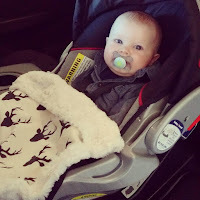 I keep one in the car for our long trips and it's the perfect size for his car seat. The other I keep here at home and he snuggles it during his naps, while in his swing, really just about every where. Perfect size and weight for his little hands and they fit amazingly in my diaper bag. A quick spray of the Honest Company Stain Remover and rinse and any messes Milo make come right out. Design: These designs are so unbelievably adorable. Rustic, chic, and charming. Everything I wanted for Milo's nursery. 110% our style. The girl blankets are feminine and elegant. I've been on the edge of ever having more children, but these blankets make me someday want to try for a little girl. These custom handcrafted designs can't be found in typical retailers, so it makes them so much more special. Something to truly fit any style. I had the hardest time narrowing it down for Milo's crib blanket. I couldn't seem to pick just one. I want them all. Beautiful designs on the front with the softest, easy to care for, faux fur on the back. It's a win/win. Accessibility: With O Hello Blankets Shoppe being an online shop anyone can order from anywhere. Etsy truly makes it so easy to shop and connect with incredible businesses, people, and products you don't always have available to you in your city or town. The owner can easily be contacted for questions/concerns using the message button at the top of her online storefront. Shipping is quick and I'm sure rushed shipping could be arranged. Milo loves these so much and they have become a huge part of our day to day. He snuggles them when he is sleeping. His deer printed blanket comforts him in the car. 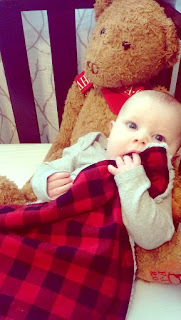 I love the size of these cuddles and can't wait to order his crib bedding. 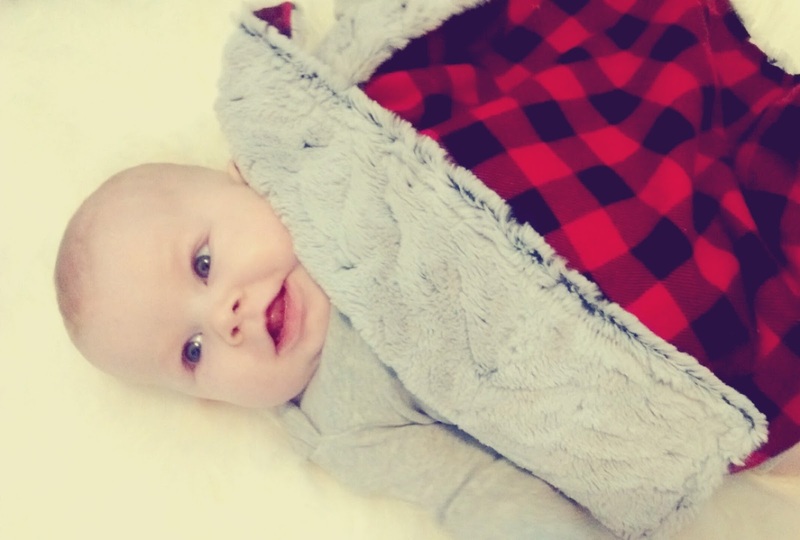 If you are looking for nursery blankets or even just a cuddle for your little one I highly recommend checking out O Hello Blankets Shoppe. They can get a bit pricey, but these designs and styles can't be found in commercial retailers. So you are buying uniqueness, supporting a small business and family, which I love. All the links are below.